“The Lilliput Troupe” features an ensemble of seven little people. The show opens Off-Broadway on Nov. 6 and was originally produced at Northwestern in 2014. “The Lilliput Troupe” closed in April 2014 after a sold-out weekend run in the Shanley Pavilion. On Friday, the show will open again with another sold-out show, but this time off-Broadway in Midtown Manhattan. 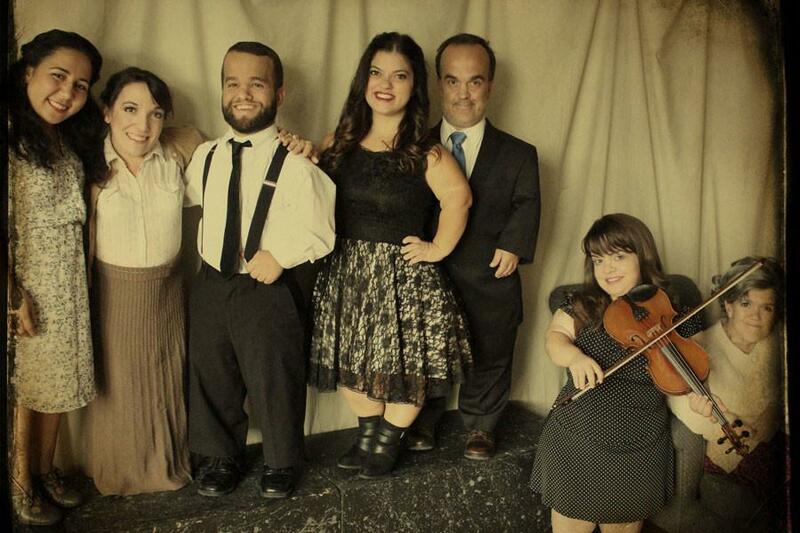 The play recounts the true story of the Ovitz family, of which seven of the 10 siblings had dwarfism and were performers. They survived a year in Nazi doctor Josef Mengele’s laboratory during the Holocaust being used for experiments. The show is presented as the family’s first performance after the war and is structured as a vaudeville-style telling of “Snow White” to follow the Transylvanian family’s story. Playwright Gaby FeBland (Communication ’14) first wrote “The Lilliput Troupe” for her three-quarter-long playwriting sequence in the 2012-2013 academic year. In researching possible subjects, she found the story of the Ovitz family and was surprised that it had not been adapted as a play. During FeBland’s senior year, Vertigo Productions produced “The Lilliput Troupe,” and after closing, the team did not immediately continue with the project of the show. Last fall, producers Sally Lindel (Communication ’15) and Jack Eidson (Communication ’15) brought up the idea of submitting “The Lilliput Troupe” to The Araca Project, which provides young artists with a space and the opportunity to produce an off-Broadway production in New York City. After an application and interview process, “The Lilliput Troupe” was selected this spring. The creative team, largely consisting of designers from the Northwestern production, has since been working out of New York and Chicago to cast the show, raise funds and make changes. The main difference between productions is the casting, Lindel said, with little people actors playing the siblings in the Ovitz family. The actors come from all over the country and were cast remotely, which was a challenge, Benjamin said. The director said that despite their casting and financial challenges, the team found a passionate cast. Despite the success and positive reception of the original production, having the Ovitz family cast accurately makes the characters more true to the story, as they have faced the same challenges as their characters, Lindel said. In working on this show about a discriminated population, FeBland said she has become passionate about having more opportunities for little people in entertainment. Many of the roles for little people, including Christmas elves and dwarfs, can be seen as demeaning, Benjamin said. On Sunday, Nov. 8, as part of the Little People of America Day at the Theatre, there will be a talkback moderated by Becky Curran, a chapter president for Little People of America. While the realistic casting is new for the off-Broadway version, many of the original designers from the Vertigo production are working on the show in New York. “There’s such a unity of vision when you’re working with designers who have such a long history of collaborating with each other,” FeBland said. Bienen senior Conor Keelan, who has remained sound designer since the original production, flew to New York for the show’s tech week and will return to Chicago after the show opens. The NU student theater community was excited to hear about the show premiering in New York, he said. “It gives us all hope and makes the professional world not seem like this crazy dream,” Keelan said. Communication senior Maddie Ambrose produced the original production of “The Lilliput Troupe” and is excited to see the premiere this weekend. “It’s a story that I sat with for so long that I saw happen before my eyes,” she said. As the creative team has a strong Northwestern presence, the show is representative of NU’s theater community and students, Lindel said. “The Lilliput Troupe” will run from Nov. 6 to Nov. 15 in the Chernuchin Theatre at the American Theatre of Actors. Linden and Benjamin are excited to see how this familiar production connects to a new audience outside of NU.